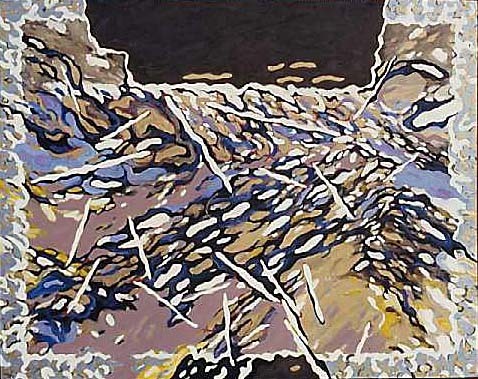 Water takes another turn as the paintings become more complex and forceful. Borders are reinvented and become more integrated with the painting. Paint is juicy liquid and buttery the paint application is more energetic and expressionistic, the structure is more flattened and abstract. However abstracted the paintings I believe they still retain the sense of fluid flowing movement.